12,000 miles. About as close to "Brand new" as you can get. My only hesitation is I don't know how hard it would be to rip the high top off and put a pop-top on it. Not sure how "Serious" I am about it since I already have a project of my own. If it is what he says it is, looks to be a smoking deal. --No affiliation with the owner, just something I came across earlier today using searchtempest. Everyone in California has the same van listed for $7K.... with 300+K mi, rust/beat to crap, & no options. I'd also mention that in CA that I believe 1997 & older diesel vehicles are smog exempt. How is it possible to put on 545 miles/yr or 46 miles a month? One tank of gas lasted the owner almost a year ...Curious if any fluids have ever been changed. Oh it sat a ton, no doubt about it. It will have needs. That said, when the Expedition Portal 7.3 Ambo-nut crowd gets wind of this there's gonna be an all out riot. Even though buying an ambulance was biting off more than I was willing to chew, I have given it a serious thought about buying it, driving it to CA, and selling it for $20-25K. I bet it would actually get that much too, seeing how desirable a minty fresh, no-emissions, no-smog 7.3L EB E-350 is. Probably needs all fluids replaced, new hoses, and new tires though. Maybe new batteries, just depending. Agree with the comments. I wonder how many hours it has? Wow... yeah... if I didn't already have a diesel van (and more project vehicles than I have room and time for), I'd be figuring out how to get it home now. Personally, I want a raised roof so that is not a negative. I think one of the hard parts about an ex-ambulance for a camper-base is accepting the need to essentially gut the entire interior although chances are a bunch of things like the electrical system could be repurposed. Another option. 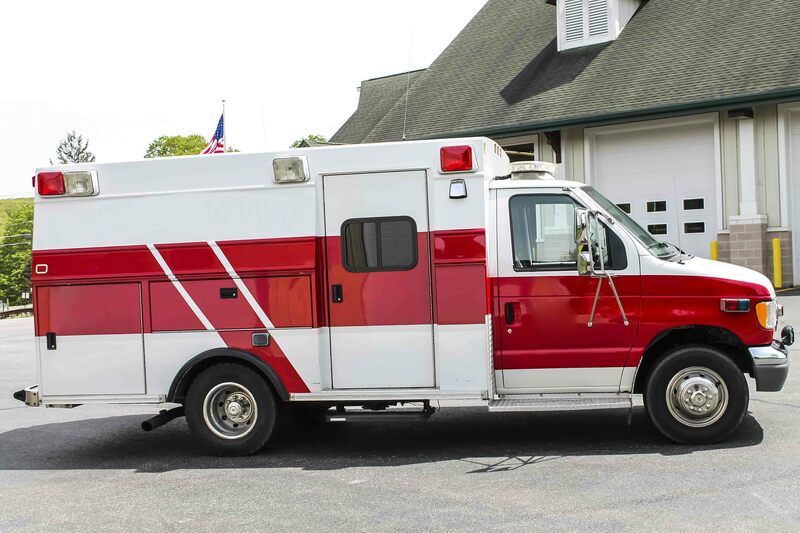 7.3L ambulance, 69,000 miles, asking $11K. No affiliation. I like the service body style with the exterior compartments, a side opening door, and what looks to be a flat roof if someone were to add a pop-top. Pretty poor departure angle however.